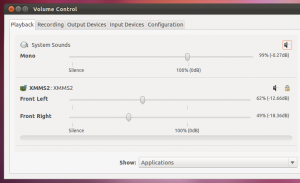 Advanced Pulse Audio Configurator for Ubuntu Linux - "pavucontrol"
Ubuntu and many other GNU/Linux distributions nowadays use the Pulse Audio sound server because of its versatile features. Although my sound card never had that much luck with Pulse Audio because when the audio output is “amplified” by Pulse, it just mutes my audio outputs. Not just because of that and there are other reasons but I personally still am quite fond of the old and stable “ALSA” :). But I’m pretty sure Pulse audio is doing an awesome job for you. 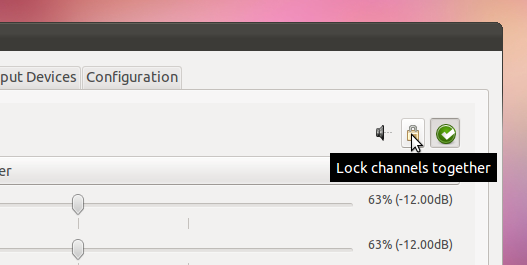 Anyway, Ubuntu comes with a built in graphical utility for adjusting PulseAudio based settings easily. But there exists another utility (it’s not that new and had been there for sometime now) called “pavucontrol” that lets you customize Pulse audio related settings a bit more. 1. Changing system sound levels. 2. Audio level controlling per application. 3. Configure audio recording device based settings. 4. Configure audio output hardware device settings (enable/disable amplifications, change profile settings etc). 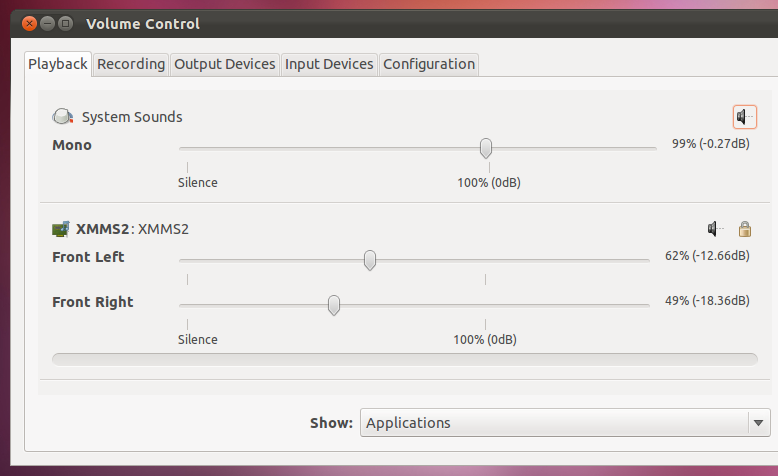 So “pavucontrol” gives almost the exact configuration features as with the default tool in Ubuntu except “pavucontrol” lets you change change audio levers per individual speakers which can be handy if you have surround speakers and wanna find a way to easily adjust settings. (I haven’t actually tested it with surround sounds because I don’t have a hardware). If you don’t have a multichannel sound card then you don’t need to bother install this actually. Anyhow if you want, you can install pavucontrol in Ubuntu 12.04 Precise Pangolin, 11.10 Oneiric Ocelot, 11.04 Natty Narwhal, 10.10 and 10.04 by using the below command in your Terminal window. Later you can launch it via the Dash in Unity or simply enter the below command in your Terminal window and press enter should also do it.